OLAMI Resources / Kiruv and Chinuch Blog / A Free Ebook – How to Learn Chumash with Rashi! 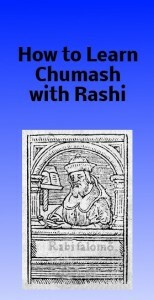 A Free Ebook – How to Learn Chumash with Rashi! The Chumash is our most fundamental Jewish text. Unfortunately, for many Jews it remains a difficult text to read, learn, and enjoy. Rabbi Shlomo Skinner wrote, “How to Learn Chumash with Rashi” for adults who want to develop independent learning skills. The book guides the learner through a step-by-step method to learn any verse in Chumash. The book’s four chapters focus on Rashi, but the skills that he teaches are applicable to any text. The “meat” of the book is contained in three chapters. The first chapter teaches how to read a verse. The suggested steps should help anyone approach an unfamiliar verse with confidence. The second chapter offers a brief discussion of the types of problems Rashi addresses in his commentary on Chumash. In chapter three, the reader is brought through a six-step process to learn and analyze one of Rashi’s comments. Rabbi Skinner emphasize that a vital step in learning Rashi is understanding how his comment solves the (usually unstated) problem that bothered him and changes our understanding of the verse. The last chapter applies the methods to Shemos 1:16. “How to Learn Chumash with Rashi” has two appendices that give beginners some vital tools for learning Rashi and is available for free on Rabbi Skinner’s website: Thinking Torah. 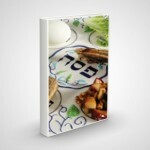 His site is full of blog posts dedicated to stimulating thought and discussion about the Torah. This is an incredible short yet practical book that any beginner to Judaism will find handy!